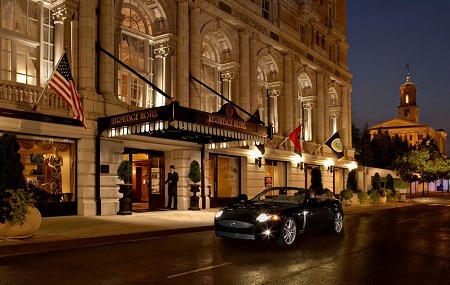 Hermitage Hotel in Nashville, Tennessee! Bid Per Room per Night and Choose Your Length of Stay! 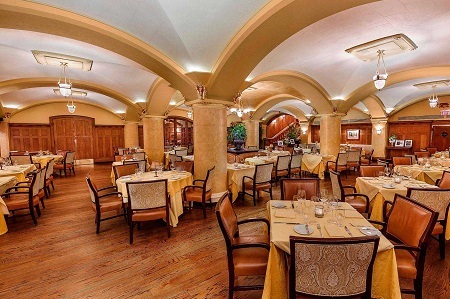 Located on Sixth Avenue North in the heart of downtown Nashville, The Hermitage Hotel is within walking distance of the Nashville Convention Center, the financial district and historic 2nd Avenue. The State Capitol and the Tennessee Performing Arts Center are located across the street and the Ryman Auditorium, Printer's Alley and the Nashville Arena are only a few blocks away. Complementing Nashville's warm and authentic spirit, each room boasts an elaborate and elegant design woven together with traditional sophistication. 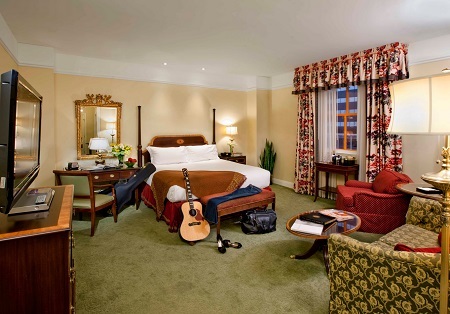 With an average size of 500 square feet, rooms at The Hermitage Hotel provide generous and comfortable living space. These ample accommodations make your stay an ideal retreat for luxury and relaxation. Offer is based on a Single or Double occupancy in a Deluxe King or Queen Room.